The thank you card templates can also be used as note cards or personalized stationery. Printable wedding program template makes a 4-page ceremony booklet. 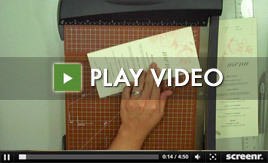 Video shows how to trim the invitation template with a paper cutter. 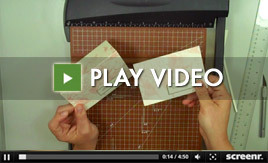 Video shows how to trim the pochette invitation for perfect folds and crisp edges. 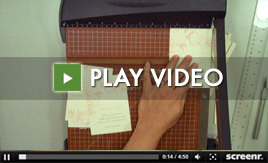 Easy favor box you can make at home with one sheet of paper. See how it's made in this video. 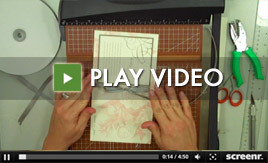 Learn how to assemble the pocket fold invitation template. 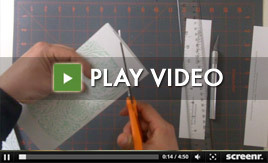 See how easy it is to make the pocket. The template prints four RSVP cards per sheet. 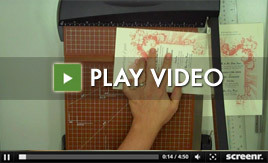 Trim the four cards with a paper cutter to finished size. 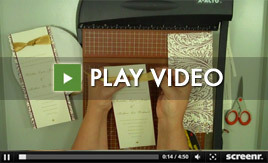 See how to make your own reception menu cards. Template prints two menu card per sheet. Embellish your invitation with ribbon and layers for a inexpensive pop of elegance.